New York Baroque Incorporated (NYBI), at the forefront of “the fast-growing vitality of the early music scene in New York” (The New York Times), has won plaudits for impeccable artistry and adventurous programming alike. 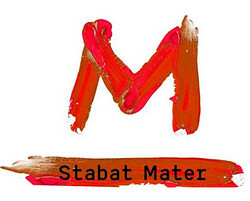 The period-instrument ensemble’s enthusiasm for inter-disciplinary collaboration has resulted in the forthcoming North American premiere of contemporary Israeli choreographer Inbal Oshman’s M Stabat Mater, playing for four performances, April 12 – 15, 2018, on Montclair State University’s cutting edge Peak Performances series. “M” is for mother and motherhood, the inspiration for Oshman’s M Stabat Mater, choreographed to Giovanni Battista Pergolesi’s 18th-century musical setting of the Stabat Mater (“Sorrowful Mother”) which on this occasion will be performed live by New York Baroque Incorporated. Pregnant with her third child and moved by a performance of Pergolesi’s version of the 13th-century hymn portraying Mary’s vigil at the foot of Jesus Christ on the cross, Oshman melded contemporary dance with early music to create a sensual and powerful piece that explores universal aspects of motherhood, from strength and intensity to vulnerability and tenderness. M Stabat Mater alludes to mythological mothers throughout history, including Mary, as well as the fierce Hindu goddess Kali and the four matriarchs of the Old Testament – Sarah, Rebecca, Rachel and Leah. The production brings together four dancers with NYBI’s seven instrumentalists and two singers, soprano Sherezade Panthaki and countertenor Christopher Ainslie. M Stabat Mater premiered at the 2013 International Dance Festival in Bangalore, India, and has since played in Tel Aviv and Jerusalem (2014) and Geneva (2016). The performances with NYBI mark its North American premiere. A video clip can be viewed here. Opening each of the four performances, NYBI will grace the stage themselves, performing Concerto for Strings, No. 2 in G Minor by Francesco Durante, Pergolesi’s Italian contemporary. New York Baroque Incorporated’s season continues on April 24, 2018 with a “rush hour” concert at the Morgan Library & Museum. Le nymphe de Rheno, a program of works by Dutch composer Johannes Schenck, J.S. Bach and François Couperin for two and three viols featuring NYBI artistic director Wen Yang with Sarah Cunningham and Shirley Hunt, takes its title from Schenck’s collection of the same name (“The Nymph of the Rhine”).